HOW MANY HOURS OF TUITION DO I NEED? This varies on your age and ability. Research shows that on average those who take about 40 hours of professional training combined with lots of private practice (supervised) have a better chance of passing. 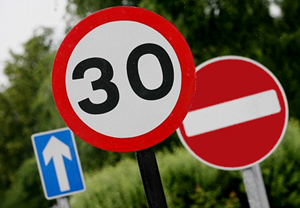 You need to pass the theory test before you can apply for a practical driving test. The theory test has two parts, one is multiple choice questions and the other is the Hazard perception test, this involves watching real-life clips and picking out possible dangers. The National average car Pass Rate for practical driving tests is 45%. This is still lower for those candidates taking a driving test for the first time. Do not rush to take a driving test, people who passed did so because they had good instruction and plenty of practice. You must be able to drive consistently all the time without any help from your instructor. Ask your driving instructor if you are ready for a driving test, they know your driving skills and have the relevant experience to advise whetheryou meet the standard set by DSA for The Practical Driving Test. The Practical Driving Test Leicester Centres are listed below. Driving schools Leicester, for driving lessons Leicester. Call for booking your driving lessons in Leicester with Sapphire Driving School Leicester. Highly recommended driving instructors in Leicester.